Congratulations! You have made the decision to invest in your future as a musician and upgrade your current instrument…and now you have a bewildering array of products to choose from so more decisions need to be made. How to make sense of it all? Here are a few tips! 1. Decide on a Budget: I always wish that there was a fairy godmother who could wave her wand and grant us the instrument of our dreams…since our dreams know no boundaries, the budget would not be of any consequence! However, back to reality: most of us do have to work within a budget, so realistically decide how much money you have to spend. You will be able to upgrade within your economic means as there are so many instruments to choose from today. It also helps to consider where you are in your musical growth: is this a step up instrument for a high school student? (in other words, are you moving up from your first student flute)? Are you upgrading because you are serious about your studies and need an instrument that can take you into the college audition phase? 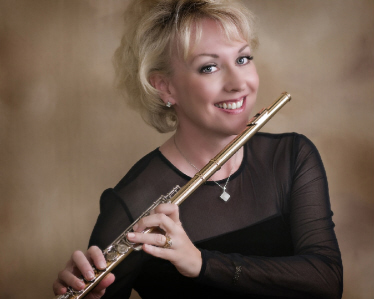 Are you in college and buying your first professional flute? Are you an amateur buying your first ‘grown up’ flute now that the kids are out of college? Each scenario is different so the process of purchasing an instrument will be different. 2. Prioritize: it’s not just about options! Getting an instrument that is fully made of precious metals is perhaps the most important thing you can do to improve the quality of your tone. If that is not in your budget, then at LEAST get a solid silver head joint. A fully handmade flute is usually higher priced due to the labor involved, but it is usually a higher quality instrument. Once you make these decisions (which will be determining the instruments prices) there are some options to consider on the body: Open hole (French model), B foot, Offset G key (especially if you have smaller hands), C# trill key (I LOVE this feature as the high G-A trill is superb as a result of this key), and D# roller key. An open hole flute is really the standard of most professionals today: in fact many contemporary effects require open holes. 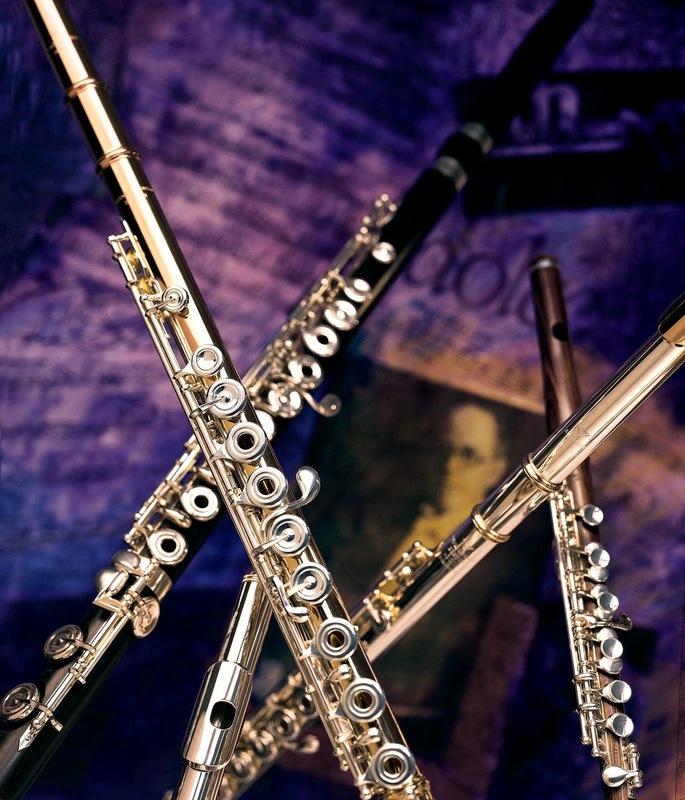 The low B foot adds not only the ability to play one note below middle C, it adds the ‘gizmo’ key or high C facilitator, automatically, and the added 1.5 inches of silver give the flute a warmer sound in general. The offset (as opposed to inline) G key is ergonomically helpful and a wonderful option for all to consider: it just feels better to me. IF you have money in the budget for the C# trill, then by all means go for it, and the D# roller is absolutely wonderful to have: I never knew what I was missing before I tried it! 3. More about Metals: Why the difference? Silver is the most common metal for flutes, but gold, platinum and combinations of metals are available. Some manufactures offer just the riser (the back wall of the embouchure hole) in different metals: it is amazing the difference a platinum riser can make, without the price of an entirely platinum head joint. Gold is lovely to look at but make sure that you are able to handle a heavier metal: it takes more air pressure to make this vibrate. If you are a more experienced player, try a gold headjoint on a silver body: this combination brings you the best of both metals. Some manufacturers layer the metals to get a similar effect. 4. Keep an open mind: Don’t get ‘tunnel vision’ to a particular brand of flute. Have a trusted friend or your teacher listen to you across the room, and evaluate the flutes without knowing the brand: the results may surprise you. Also, try used flutes: a fine used instrument is less expensive and although maybe not as shiny as a new one, can be a terrific way to find a great flute or piccolo at a reasonable price. * To learn more about Cindy, click here to visit her website and here to visit her Powell profile page. Great summary! I had all these in mind when I went shopping for my new flute in Spring 2009. I definitely had my mind set on a certain name flute other than Powell, but I was surprised when I actually tried the other-name flute. It wasn't at all what I had expected; they are wonderful flutes, but not for me. Fortunately, I was open to the flute that worked with and for me, not the name, so when I connected with my Powell, I was sold!